It’s late, you just got back from the ball, your Uber turned into a pumpkin, you’re exhausted and you’re HUNGRY. (Those tiny appetizers don’t fill anyone up.) What’s a girl to do? Make pumpkins into pumpkin bread and help yourself to a hearty slice before bed! This pumpkin bread is a fairly traditional recipe with the addition of a bit of “fairy dust” in the form of white sanding sugar. It’s the perfect fall treat to keep on hand for cozy breakfasts and hearty snacks! 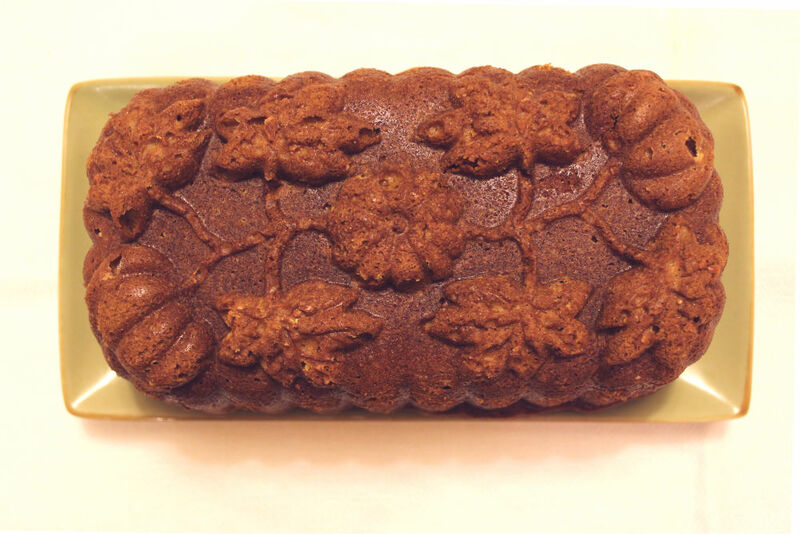 And if you’re like me and can’t get enough of the pumpkin theme, you can make it with this gorgeous pumpkin loaf mold. I saw it during the Sur La Table excursion at IFBC, and I instantly fell in love. I also got this mini pumpkin cocotte and just have to decide what I want to do with it, other than display it! Aren’t they AMAZING? Preheat the oven to 350 degrees and butter and flour your loaf pan. Set aside. Beat the butter, sugar, and oil in a stand mixer until light and fluffy (about one minute). Add the pumpkin puree and mix until combined. Add eggs one at a time, mixing until fully combined each time. Whisk flour, salt, baking soda, baking spices, and spices in a bowl. Slowly add the flour mixture and the water to the wet mixture. Mix on low until just combined. Pour batter into a loaf pan. Gently tap the pan on the counter to remove air bubbles. Bake for 60-70 minutes, or until a toothpick inserted in the center comes out clean. Let cool in the pan for 10 minutes, then remove. Brush melted butter onto the top of the loaf and sprinkle the sanding sugar on top.